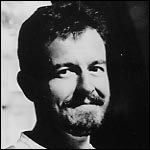 Writer and critic Adam Mars-Jones was born in London in 1954. Educated at Westminster School and Trinity Hall, Cambridge, he studied and then taught Creative Writing at the University of Virginia. He was film critic for The Independent between 1986 and 1997 and for The Times between 1998 and 2000. Adam Mars-Jones is currently considered a "single author." If one or more works are by a distinct, homonymous authors, go ahead and split the author. Adam Mars-Jones is composed of 3 names. You can examine and separate out names.